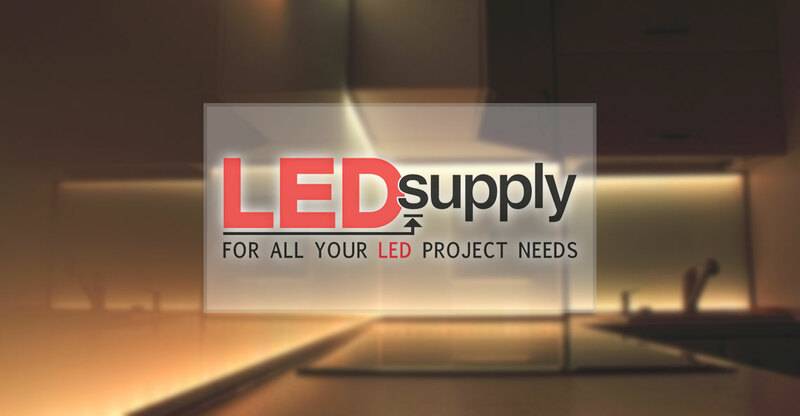 With the constant improvement in LED strip lighting, linear lighting applications continue to increase in popularity. 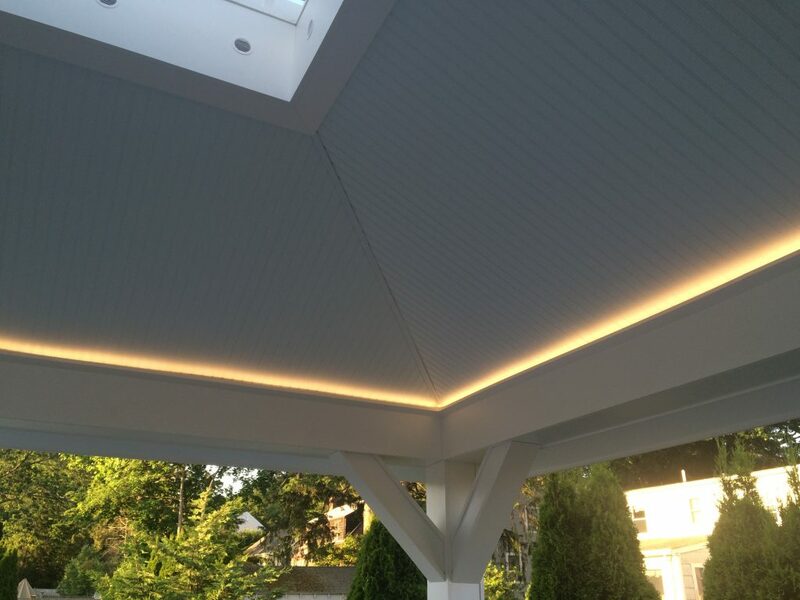 LED flex strips have become the standard for adding indirect, accent lighting around your home. 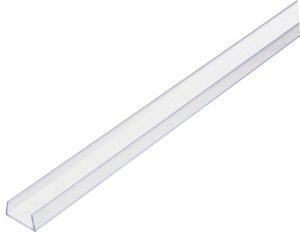 These low voltage, 12V strips are used a lot in under cabinet lighting, back-lighting and shelf lighting…a big drawback is that they do not come in long lengths, the longest available single run option being only 16.4 feet (5m). Standard density strips can connect up to 32 feet long but that is still too short for applications like crown and cove lighting, outdoor deck lighting, or any application requiring a long string of lights. 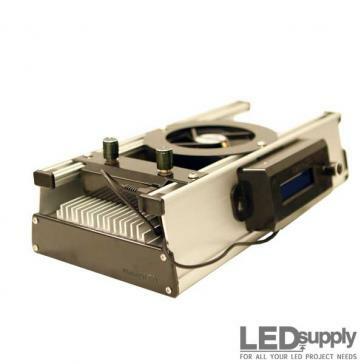 Luckily there is an AC powered LED strip that boasts a much heavier duty design that I would have no problem putting in any elements, plus it can run in long lengths all the way up to 150 feet! 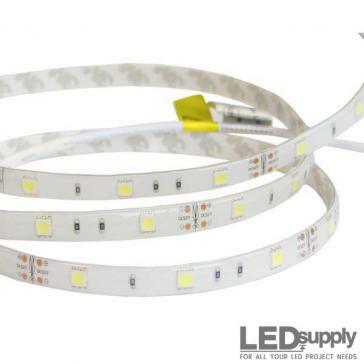 As the name says, these LED strips run off of straight line voltage, 120VAC. They actually come with a power cord attached that has a small unit built into the cord that switches the power over to DC power for the LEDs. This already makes them more simple than low-voltage strips as you do not have to buy a power supply along with your strips. Everything is included in this strip, all you need is a well-placed outlet near your installation. 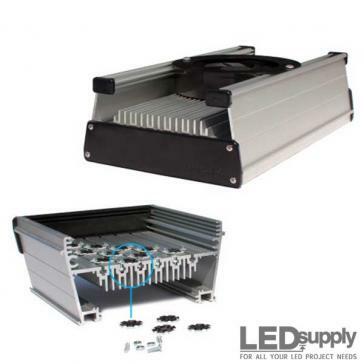 These 120V LED light strips are extremely efficient running at just 2.3 Watts/foot. 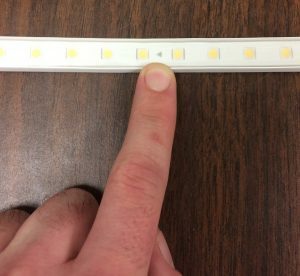 That is pretty much the same as the standard density flex strip that only outputs half the Lumens compared to this LED strip. 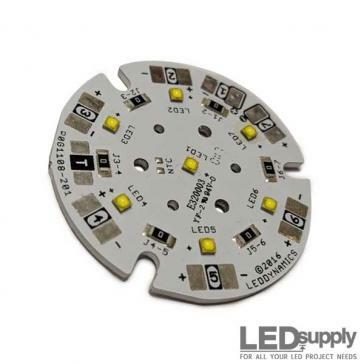 The strip houses 5050 SMD LEDs, the same size as the standard and high density 12V LED strips. 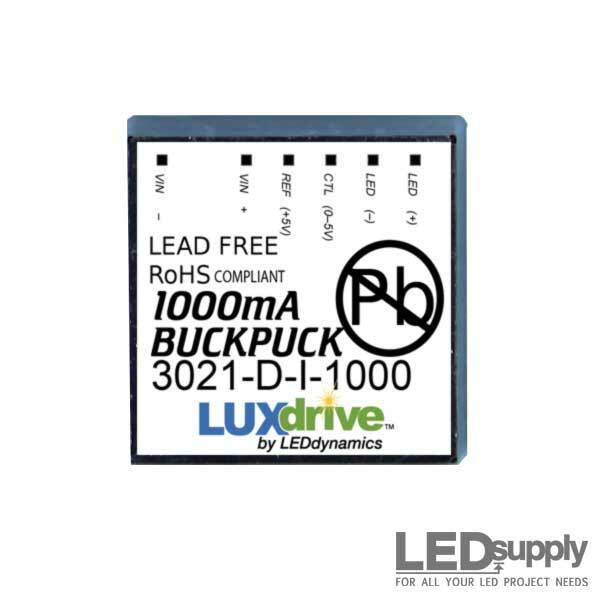 Holding 20 LEDs per foot this makes for our highest density LED flex strip. Higher LED density improves overall light quality so this makes for a great strip for both task and accent lighting. The 120 degree throw from the LEDs helps with this as well as it really spreads the light and doesn’t come off looking spotty. The LEDs are wired in parallel within the strip so when one LED goes out, the whole string will not cut out. The 5050 LEDs really do the job as the strip outputs around 180 Lumens/foot for Cool White and 145 Lumens/foot in Warm White! That makes for our brightest strip light that can be used for accent lighting but also any task lighting needing a linear fixture. 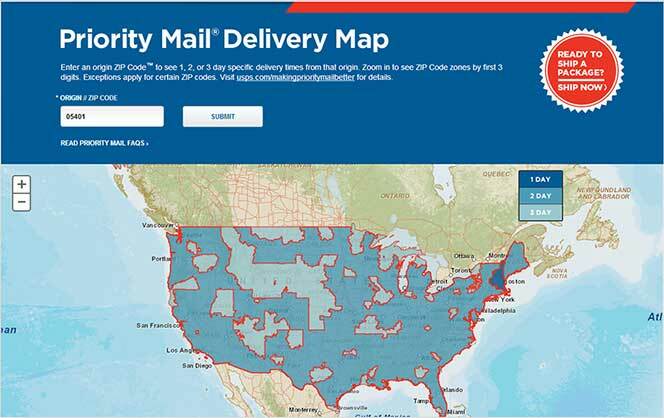 Along with Cool (5000K) and Warm (2700K) White colors, the strip is offered in Red, Blue and Green! With the high output it is a good thing these are dimmable led strip lights. You probably will not need all that light all the time, so you can dim these strips using most standard incandescent dimmers. That’s right, no special dimmer needed for these strips, just use a common household dimmer to dim them on the AC side of the supply. Obviously you will need to hook the dimmer to the outlet the strip is plugged into but that is the only thing needed to dim the LED strips. 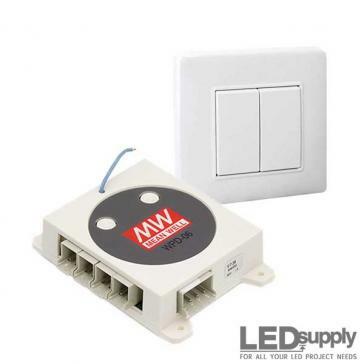 Only thing to watch for is to make sure that no minimum loads apply for the dimmer and if so, make sure you have enough wattage for the dimmer to control smoothly. 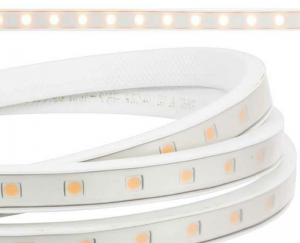 This AC 5050 LED Strip still qualifies as a flex strip but is much more heavy duty than the standard flex strips with adhesive backing. 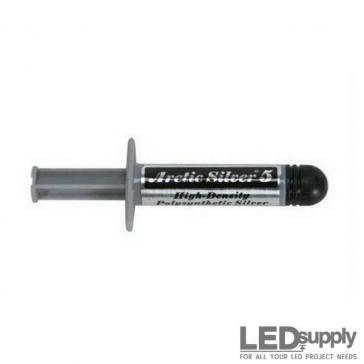 The LEDs are held in a 9/16” (W) by 1/4” (H) flexible rubber housing. The housing is covered by a PVC lens which also blocks UV rays. 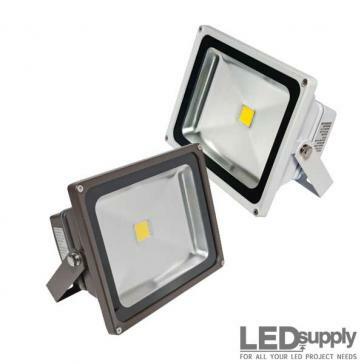 The heavy duty design and PVC covering make for water resistant led lights that are fantastic for outdoor use. At the end of the post there will be some real life applications of how the strips have been used in some great outdoor settings to add nice linear landscape lighting. The plug in style make these lights super easy to set up. Usually you will have to find a power supply sufficient enough for your length of strip, then worry about how you are going to connect it to the power source. With these strips the attached power cord allows you to just plug and play. If you need a gap in your strips, there are jumpers available to go from strip to strip. 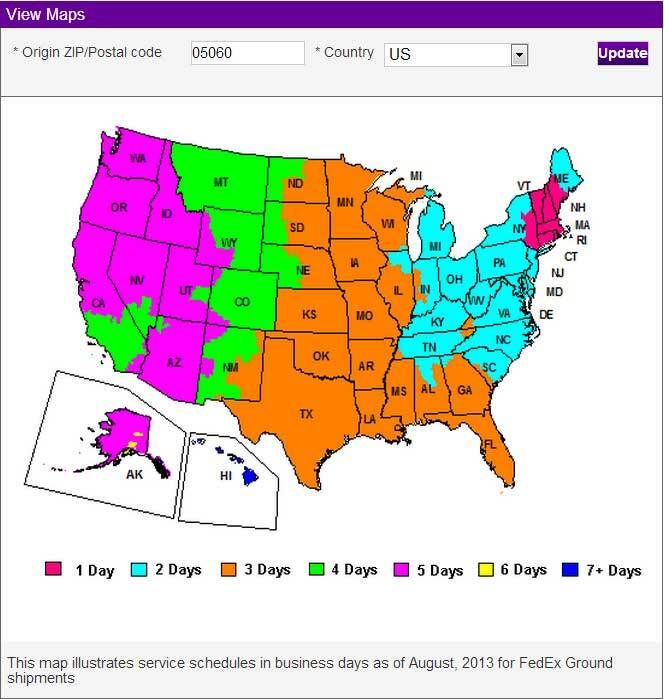 This is helpful in areas where you need to go around a tight corner, as there are 6-inch jumpers for this case. The longer jumpers are for larger gaps in your application where you might have to cross to your next length of lights. Longer jumpers are available in 3, 6, and 10 foot lengths. The most intriguing part of these strips is the long run lengths. When working with 12V led strips it can be a pain to run longer lengths as you must run parallel strips and wiring because of the voltage drop. This strip can span for lengths up to 150 feet in a single run! That is more than 5 times that of low voltage led flex strips. The strip can be cut every half Meter (19.685 inches) so you are able to cut down the strip relatively close to the size of your application, whatever that may be. If you need to cut just cut right along the diamond marked on the strip. 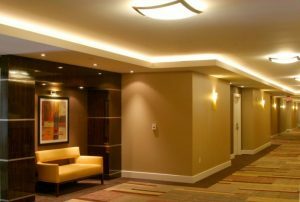 The longer lengths really come in handy as many indirect lighting applications such as cove lighting, deck lighting, etc. require long lengths of strips. With the AC 5050 LED strips there is no need to buy multiple strips, power supplies, connectors and so on. These strips come ready to install and even if you have a jumper within your application it is a simple strip to strip, plug-in connection. Max run is 150 feet of light strip. 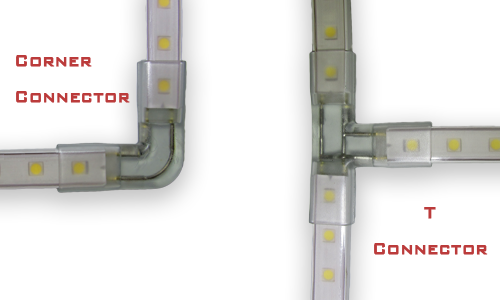 There are two types of connectors that will make the job of working with these LED strips easier. The strip is semi-flexible but cannot go around tight corners of 90 degrees, making some applications difficult. Luckily, there are L shaped corner connectors for the strip that will make the corner for you. We also carry a T-connector for those applications that need to run a perpendicular run of strip lights off of another. These connectors come with all the hardware to plugs the strips in easily. 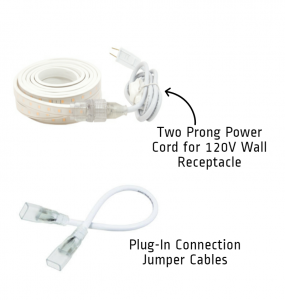 Follow the instructions on the connector product pages in order to connect strips easily! Whereas many flex strips have an adhesive backing for quick, simple lighting; the heavier duty AC strip does not have any adhesive backing. The strip comes with mounting clips that give enough for 1 for every 3 feet give or take (a 3ft. strip would get more than just one clip obviously). 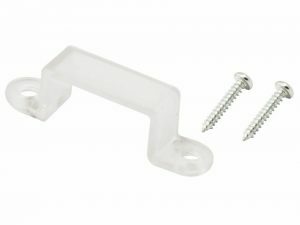 The clips are clear and come with screws to mount in on either side. There is also a plastic mounting track that the strip can slide into for mounting purposes. This protects the strip even more but also keeps the strip straight with no slight curves or bumps. If you are using this LED strip in an application where the strip is facing downwards, I would use this mounting track. The track will keep your strip running smooth even at long lengths. If you are using the track you will want to use a strong adhesive on the back of the strip to adhere to where you need. Any clear drying, high bond epoxy will work for this and will mount your strips well as the tracks cover the front side. Additional mounting ideas: U-shaped nails, brackets, aluminum channel. These strips are most useful when you have (1) extremely long lengths or (2) you have an outdoor application. The long lengths can be extremely helpful as you can run a single length all the way to 150’! No need for splicing or running parallel strips which makes for an easier installation but also a smoother, steadier light that doesn’t have wires running every which way. One of our customers did a fantastic job with the AC LED flex strips. 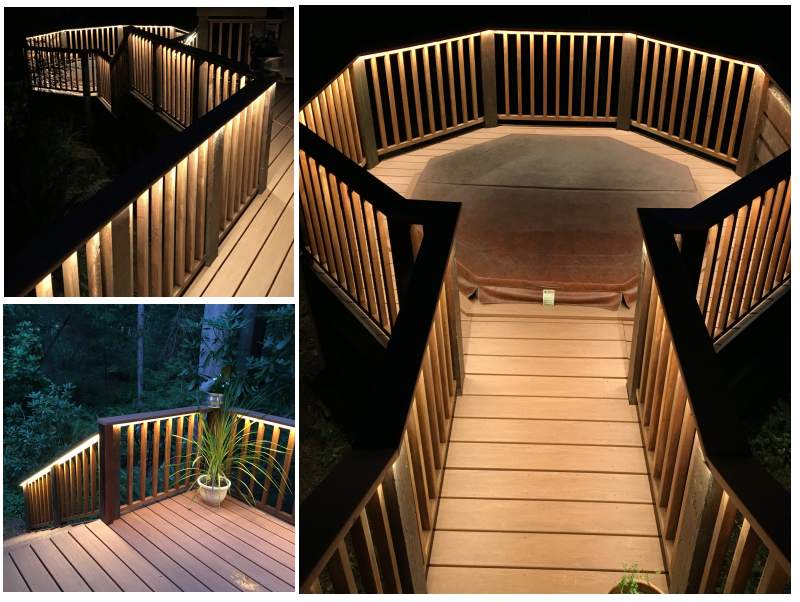 Running the Warm White strip under the handrail of the deck made for a great accent light around the whole deck and leading down to the hot tub. 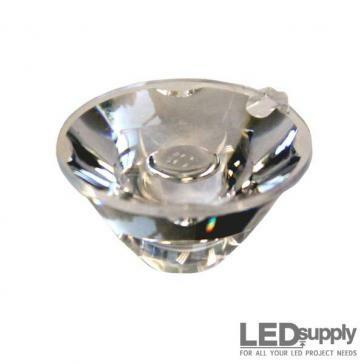 This provides a perfect indirect accent light for nights out on the deck! The AC strip can be great in cove lighting that usually needs longer lengths. This also usually allows you to mount the strips up top easier where you won’t need to worry about plastic mounting track or adhesives. 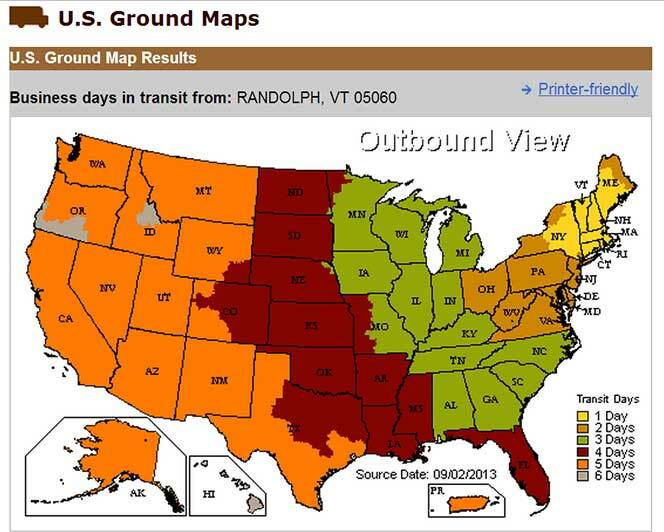 This customer had 120VAC going into his work trailer. 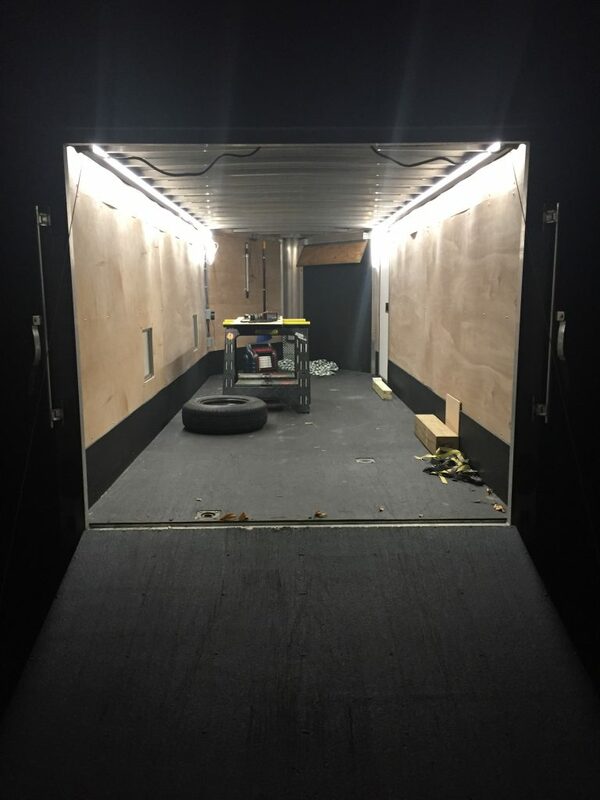 He strung two strips on either side to illuminate the trailer. This picture really attests to how bright these strips are! 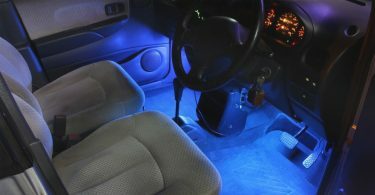 Perfect for when you need it but luckily the strips are dimmable so you can bring the light down when you feel the need. 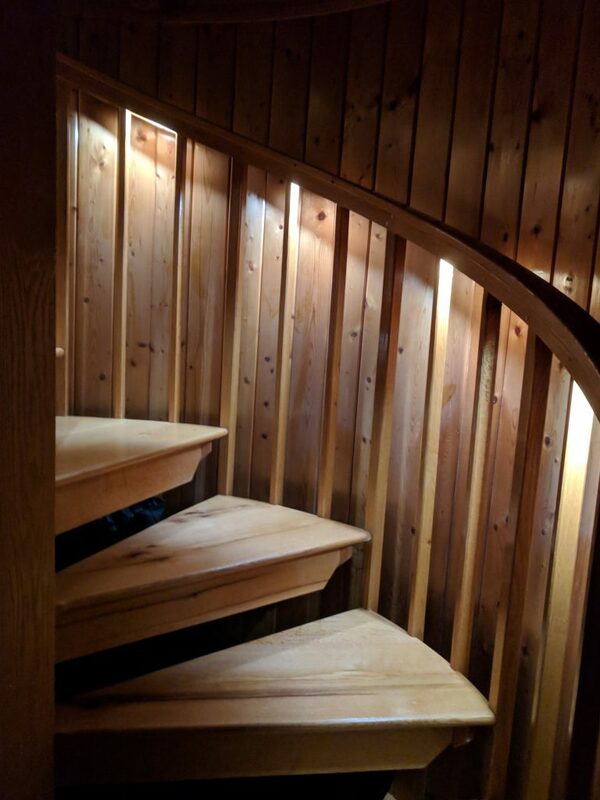 Stairway lighting is a great way to add some accent lighting that doubles as a safety feature to keep those tricky stairways illuminated at night. This spiral staircase hand rail was fitted with the AC5050 LED strips. 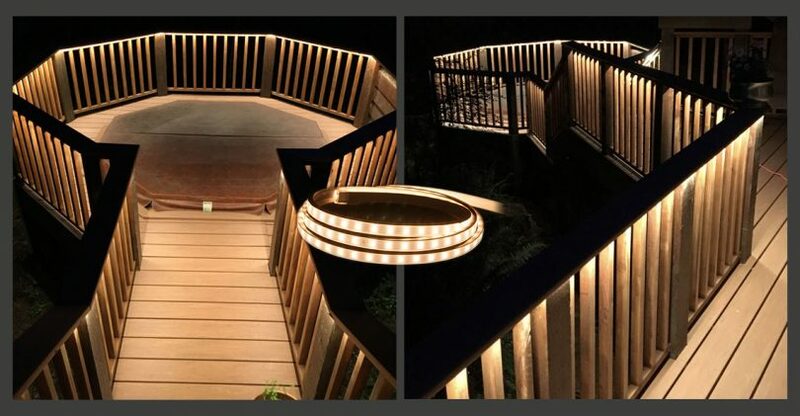 The Customer used the strip and a few jumpers to complete the entire staircase and add a nice accent/safety light.